We know a ‘full’ or inoperative septic tank is more than a simple inconvenience and can affect the health and well-being of your family. That’s why we provide 24 hour Emergency Service Monday through Saturday. 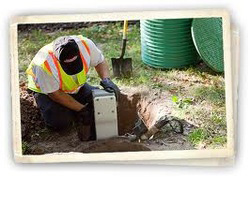 We’re septic system experts providing routine pumping and maintenance, full drain field rejuvenation, and complete installation of new septic systems for home or business. Our trained engineers have years of proven experience in the design and installation of the right system to meet the individual needs of our residents and commercial customers. In addition to our comprehensive list of residential services, we also offer grease trap cleaning and other restaurant septic services. Call 1(360) 310-4430 for more information! Serving Snohomish, Lake Stevens, Granite Falls, Everett, Arlington, Marysville, Monroe, Mill Creek, Lynnwood, and greater Snohomish county. Call (360) 310-4430 for more information.